This class is for boys and girls ages 3-4 years. 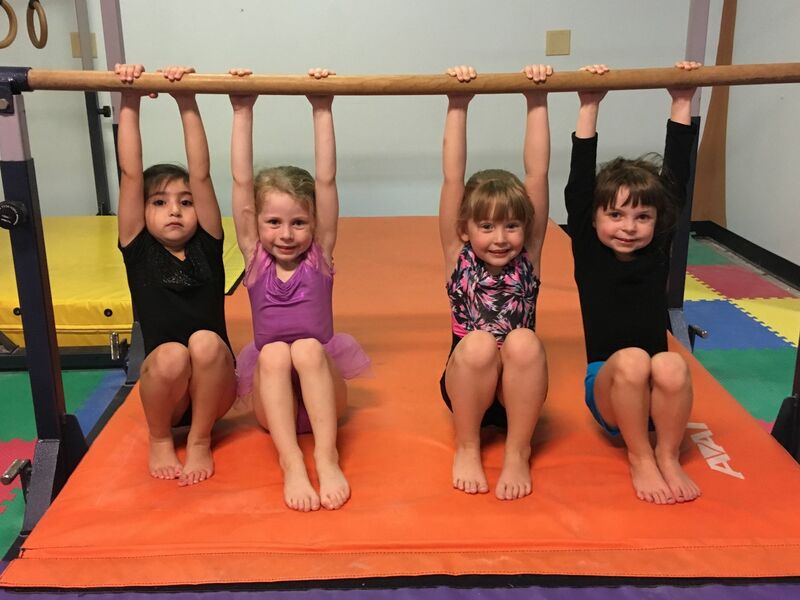 Children in our preschool gymnastics program will learn exciting skills on vault, bars, balance beam and floor exercise in our designated preschool gym on equipment that is “just their size”. Students will rotate through circuit stations to learn various body positions, stretches and basic skills while strengthening their ability to listen and follow directions. Children will improve their balance and coordination, while learning to problem solve and think creatively.